SCOTUS Decision in King v Burwell: Crisis Averted? 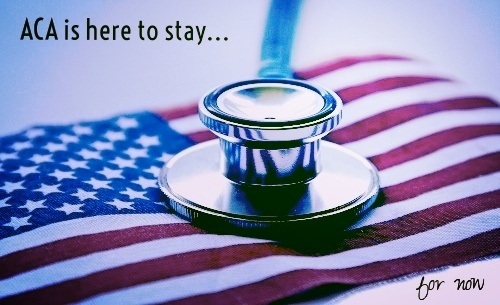 ACA is here to stay, for now. On June 25, 2015 the Supreme Court Of the United States (SCOTUS) published its decision in King v Burwell which upholds the availability of federal subsidies for insurance purchased through federal as well as state exchanges. The SCOTUS found that “Congress passed the Affordable Care Act (ACA) to improve health insurance markets, not to destroy them” therefore the interpretation of the Act should reflect Congress’ intent. According to the American Health Care Association, this ruling signals that the ACA is here to stay, at least for now. The court decision even went further than expected and limits future challenges to the law which puts an end to the uncertainty associated with repeated challenges to the controversial health care law. There’s no doubt that 2014 introduced a number of substantial regulatory and policy changes to the long-term care industry, many of which are an evolution of what’s to come under the Affordable Care Act. Health care reform initiatives will undoubtedly continue to drive sweeping changes to providers across the care continuum, particularly as it relates to improving the patient experience, improving health of populations and reducing the cost of health care (otherwise known as “The Triple Aim”). © 2019 Harmony Healthcare International. All Rights Reserved.